Step 2: If you qualify for a return, call our customer support line toll free (844-643-3768) to set up a return authorization. Having your Order ID ready before hand will help speed this process. Step 6: Return the item to us. You are responsible to pay for the return shipping unless we have made an error on our part and shipped the wrong item or you have received a defective item. For larger and heavier items, we recommend shipping them via UPS. For smaller and lighter items, US Post Office is usually cheaper. If you have any questions regarding which shipping method will be cheaper for your particular item, please call us at 844-643-3768. Note: We will not accept items mailed “Postage Due”. 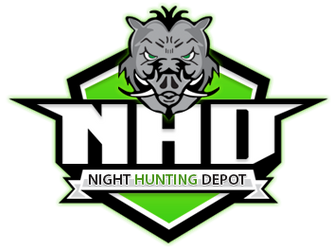 Indemnity: You agree to hold harmless and defend NightHuntingDepot.com and its associates, officers, and subsidiaries from and against any and all liability, claims, costs and expenses for any accident or death, unintentional or otherwise, caused by the use of any item manufactured by or purchased from our online store.